Are Favorite Answers being planned? Sometimes, there's a question that gets posted. You have that problem, as well, so you take a look at the answers. Now, let's say that the answer was the most awesome, well-written answer ever, and it offered multiple workarounds and solutions (you get the idea,) but the question was just.. marginally good. So.. you want to favorite the answer, but the asker wasn't really deserving of the mound of Rep that a Favorite provides. I kind of feel like a jerk just upvoting, then walking away, but I also think that it's a little out-of-place to leave a "Thanks!" comment. I propose the ability to Favorite an answer. 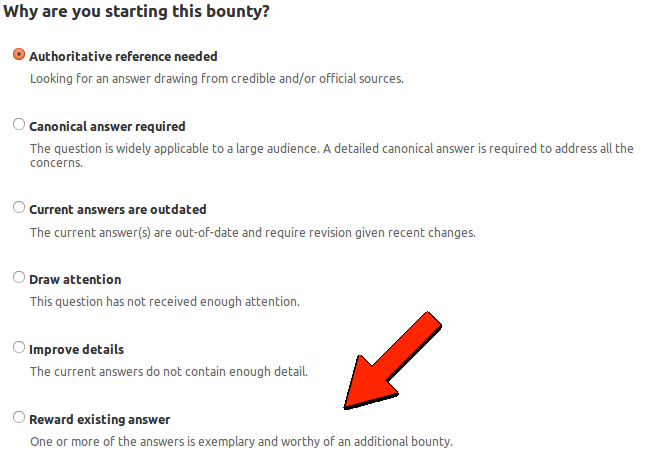 Any answers that you think are the 'most awesome, well-written answer ever' could do with a bounty. You'll even get a couple of extra badges for your trouble. Having a question marked as a favorite doesn't earn the asker any reputation, so that doesn't really matter. If you upvote the answer you prefer every time you visit the page the arrow will be filled in, so you know that's the one you upvoted, poor man's favorite I guess. Also if the answer is useful then clearly the question has merit, if the post is of poor quality then fix it by submitting edits to it. Not the answer you're looking for? Browse other questions tagged feature-request answers reputation favorites . Is boot-repair becoming our jQuery? What should I do when someones posts an almost exact copy of (part of) my answer to the same question?